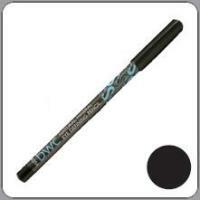 Soft Kohl Eye Pencil decorate and shape the eye with a mix of pure natural minerals and waxes. The pencils provide unique all day performance without creasing or fading and are specially formulated as a super soft texture which is easily blendable and smudgeable. This hyperallergenic formulation with no fragrance is ideal for sensitive skin. Super soft Kohl Pencils for gorgeous eyes. Subtle colour and depth that lasts. Super soft blendable formulation.